1. How many countries are there in the UK? 2. What is the kilt? 4. What is the symbol of England? 5. When do the British people celebrate Guy Fawkes Day? 6. Where did “The Beatles” come from? 7. 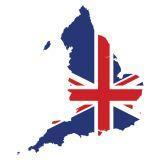 Where is the UK situated? 8. What is the symbol of Wales? 9. What are the famous guards of the Tower of London called? 10. What river is London situated on? 11. What is the national drink in England? 12. What birds live in the Tower of London? 13. What is a double-decker? 14. What is the name of the famous Shakespeare’s theatre?